Conservationists have unveiled plans to preserve and protect the world’s most important species of coral, in a response to increasing threats that they say will lead to “functional extinction” within decades. Led by scientists at the Zoological Society of London, the Edge Coral Reefs project has identified 10 coral species in most urgent risk of becoming extinct. The Edge plan, which focuses on the most evolutionarily distinct and globally endangered species will take a regional approach to conservation. This means focusing on the “coral triangle” around the Philippines, the west Indian ocean around the Mozambique channel, and in the Caribbean channel. “Coral reefs are threatened with functional extinction in the next 20-50 years, due predominantly to global climate change,” said Catherine Head, co-ordinator of the reefs project. “In these regions, we’ll be supporting and training in-country conservationists to carry out research and implement targeted conservation actions,” she said. 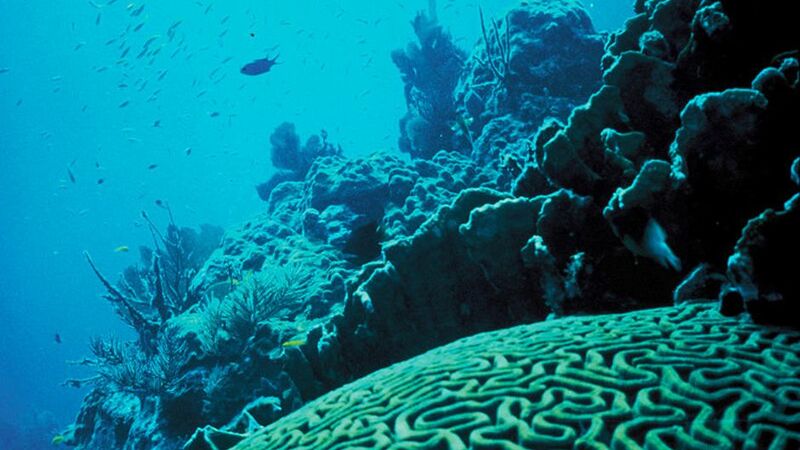 Coral reefs are the planet’s most diverse marine ecosystem — known as the rainforests of the oceans. Despite taking up under 0.2% of the ocean floor, they harbour up to a third of all marine life. Climate change, which leads to rising sea temperatures, causes corals to bleach. “Bleaching occurs when sea temperatures rise and this causes the coral tissue to expel their symbiotic algae called zooxanthellae — these are what give the coral their colour,” said Head. While it is bleached, a coral cannot photosynthesise and it is in effect not feeding. There is a limited period of time, around a few months, where the coral needs to re-acquire zooxanthellae or else it will die. “2010 was an El Niño year so sea-surface temperatures were very high — but these hot years are coming with increasing frequency now,” said Rachel Jones, a keeper at London zoo’s aquarium. Among the 10 species chosen to start the Edge project are the pearl bubble coral (Physogyra lichtensteini), a food source for the hawksbill turtle, and the Mushroom coral (Heliofungia actiniformis) that supports at least 15 brightly coloured shrimp including the popcorn shrimp (Periclimenes kororensis). “That means trying to reduce overfishing and pollution pressures,” said Jones. She added: “The environment is changing faster now than it ever has done before. Corals have evolved to live within a very specific set of parameters. They’re right at the interface between air and sea and it’s a very difficult environment to live in. Heather Koldewey, international marine and freshwater conservation programme manager for ZSL, said: “Corals are one of the most threatened groups of animals on our planet and iconic flagships of the marine environment. This article was originally published on guardian.co.uk on Tuesday 11 January.